April 15th is the 105th day of the year (106th day in leap years) in the Gregorian calendar. There are 260 days remaining until the end of the year. On this page, we have placed information about April 15th, including famous people born on, historical events that occurred on, holidays and observances that fall on, and astrological connections of, this day. 1755 Samuel Johnson's A Dictionary of the English Language is published. 1865 Abraham Lincoln dies, after being shot the previous day by John Wilkes Booth in Ford's Theatre in Washington D.C.
1892 General Electric Company formed. 1912 RMS Titanic sinks after hitting an iceberg. 1942 Malta is awarded the George Cross. 1947 Jackie Robinson is the first African-American to play in modern major league baseball. 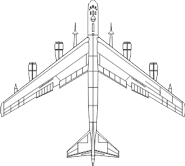 1952 B-52 Stratofortress flies for the first time. 1955 First McDonald's restaurant opens. 1986 United States bombs Libya in retaliation for a terrorist attack on a discotheque in Berlin.